In this photograph you can see the door and hatch through to the Servery. Looking through you can see the entrance through into the Hall Cellar. Food would have been passed through from the kitchen to the Servery where it would have been arranged. 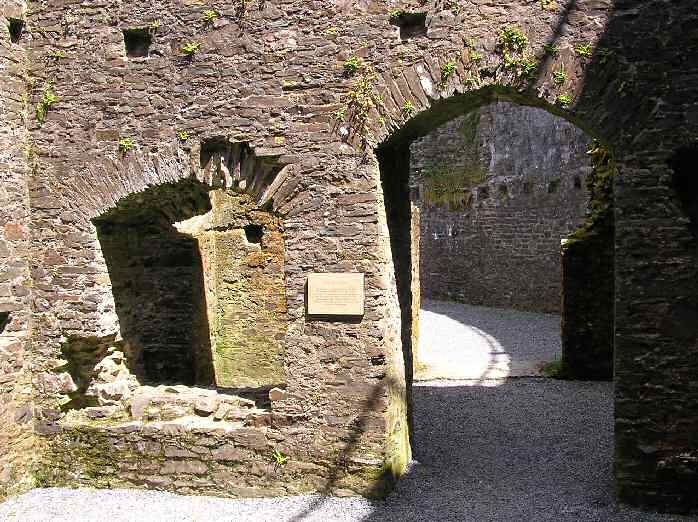 It would then had passed through to the courtyard via another hatch where it would have been carried up a wooden staircase to the Hall which was situated on the floor above the Hall Cellar.